Barbara McDonough is a woman of inspiration. In her past 83 years Barbara has had more than her share of hardship including the loss of two husbands and two bouts with cancer – both incurable and inoperable. Yet she is a dynamic woman who creates beautiful quilts, plays bowling and sings with the St. Louise Manor’s Sunnyside Singers – musical group that performs at Elizabeth Church Manor. The key to getting over any adversity, according to Barbara, is faith and positivity. Barbara came from a large family, eight children in all. They were poor but she said they never knew it. Her mom was a school nurse who believed in education – ensuring all of her children secured degrees. 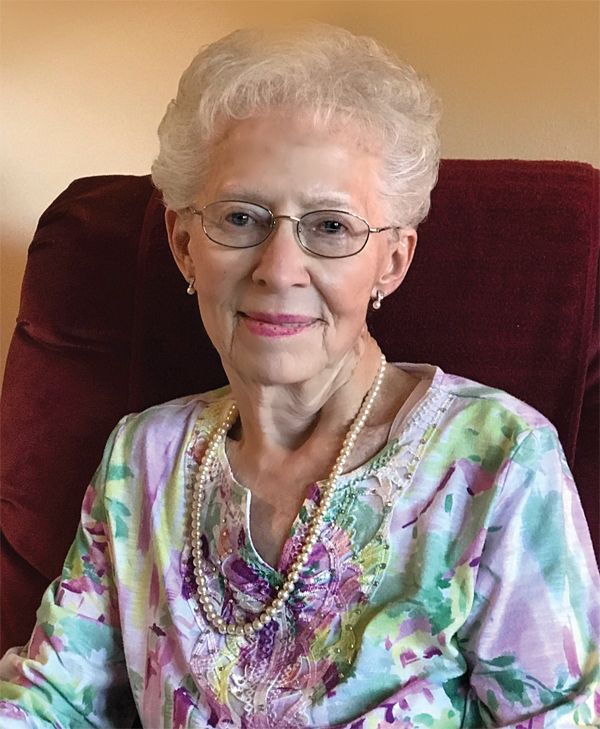 Barbara followed in her mother’s career path and graduated from St. Elizabeth Nursing School in Utica as an RN working in hospital settings as well as training home health care aids. She later became one of the first Nurse Practitioners in NYS while working in public health in a family planning setting. The coursework and exams to gain this recognition was strenuous as it was a new venture in the medical field, one in which those who would become the pioneers would set the bar high for those who followed in their footsteps. After passing several modules to qualify her to prescribe birth control as well as to assist in Ob/Gyn exams Barbara became a certified nurse practitioner by the National Association of Ob/Gyn nurses. And Barbara became this trailblazer while raising her family and dealing with all that life handed her. Barbara is an amazing woman. She is positive and upbeat. A beautiful woman both from an outward appearance as well as spiritually. And speaking to her you know she is someone who has found the secret to a happy life – a life with no regrets.